Without Christmas markets the month of November and December would be like the advent wreath without candles. This is why we will be happy to take you to places which ranked among the TOP 10 most beautiful Christmas markets in Europe in the last year´s public voting. You can smell their scent far and wide and each of them has a unique odour that would be a pity to resist. So, feel welcome and take a seat. Although the Christmas market in the Slovak metropolis did not appear among the best ones, its incomparable atmosphere of closeness attracts the visitors from near but also more distant countries. The Main, Hviezdoslav, Franciscan and the Primatial Square together with the Courtyard of the Old Town Hall offer beautiful corners, where the smell of mulled wine, Christmas punch, roasted beef, potato pancakes mingles with the smell of strudels or lokshe filled with endless varieties of stuffing. And while listening to the Christmas carols on the stage, in more than a hundred of stands you can choose from handmade glass products, ceramics, husk, textile, wood, honey, wax, original Christmas decoration, but also wafers, Christmas pastry or traditional cheese and other dairy delicacies. Or you can put on your skates and, at least for a while, forget about the pre-Christmas rush on the ice rink on the Primatial Square. The Vörösmarty Square belongs among the most popular places in Europe at the time of Advent. In 122 wooden chalets you will find handmade folklore products from the producers being carefully selected by a professional jury and, of course, a number of tasty delicacies. Kürtös cake, strudels, langosh, roasted chestnuts, roasted beef, Hungarian goulash, halászlé, roasted pig, stuffed cabbage, foie gras but also mulled wine, punch or krampampula – significantly differing from the one that is drank in Banská Štiavnica. The opening of the windows of the Advent calendar in the building of the famous Gerbeaud patisserie is one of the biggest attractions of the Christmas market in Budapest. It is not only worth coming here every day at five in the afternoon from the beginning of December until Christmas Eve, when, being accompanied by an orchestra and lighting effects, one of the windows is unleashed, but the patisserie itself is also worth visiting with an inexhaustible number of self-produced delicacies. However, except this, more than 160 various performances exchange on the main stage of the Christmas festival – from folk through jazz, soul, dance, ending with a puppet show. Also workshops wait for the kids, where they can make their own toys, candles or postcards. You can be sure that Santa Claus will stop by on the sixth of December, but the Christmas market in Budapest will be surely decorated by live Bethlehem all the time. 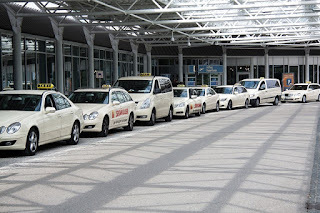 Vienna bratislava airport transfer will get you there. Also the Austrian metropolis is full of Christmas stands as of mid of November. Although the Christkindlmarkt in front of the Vienna Town Hall is the largest and the most famous thanks to its 150 sellers, numerous others in various parts of Vienna are very attractive as well. For example, in the Christmas village in the Mary Theresa Square between the Art-Historical Museum and the Museum of Natural History you will find 60 stands with handicraft products, gifts and traditional delicacies. 80 exhibitors from Austria and the neighbouring countries present their craft in the beautiful premises of the Schönbrunn castle. However, except ceramics, candles, artistic puppets, wool products or sheet metal toys you can get fascinated by the art of gospel and wind ensembles and your kids can have fun in the Christmas workshop or at Bethlehem. The Old-style Viennese Christkindlmarkt on the Freyung Square known since 1772, the market on the St. Stephen´s Square with Austrian high-quality products, the Christmas village in the Belvedere castle and a lot of other amusements are surely worth visiting. However, the Christmas market on the Town Hall Square attracts the most attention, where the stands attract the visitors with candied fruits, roasted chestnuts, cotton candy, pretzels, fruits in chocolate, punch, mulled wine, Christmas decorations, toys and handicraft products. The magic atmosphere is enhanced by the adjacent park full of decorated trees, but also the Christmas Express, a merry-go-round and ponies for the greatest joy of the youngest visitors of the market. Z dvadsiatich dvoch podnikov, ktoré sa pred časom rozhodol Jamie Oliver otvoriť mimo svojej rodnej Veľkej Británie, budú tri neďaleko Bratislavy – na viedenskom letisku, taxi Schwechat vás tam zavezie. Prvý z nich je už otvorený – priamo v centre Terminálu 3. Hneď ako na Schwechate vystúpite z jednej z našich pohodlných limuzín, môžete sa tešiť na jednoduché a chutné snacky, pizzu priamo z pece, zdravé šaláty a široký výber sendvičov pod označením Jamie´s Deli. Menu zostavil Jamie osobne a na svoje si prídete aj v prípade, že vám časové možnosti dovoľujú maximálne schmatnúť jedlo do ruky a stráviť ho až na palube lietadla. Všetky pochúťky pozostávajú z čerstvých sezónnych ingrediencií a trvalo udržateľných zdrojov. Jamieho neformálny koncept stravovania je k dispozícii od piatej ráno do desiatej večer. Popri Jamie´s Deli otvorí hviezda gastronomických televíznych šou na viedenskom letisku aj svoju taliansku reštauráciu Jamie´s Italian. Už koncom tohto roka tak dostanete možnosť zakončiť svoj príjemný zážitok z cesty jednou z našich limuzín posedením pri skvelých špecialitách inšpirovaných mediteránskou kuchyňou. Starostlivo vyberané ingrediencie dostanú aj podobu vegeteriánskych, vegánskych, bezlepkových a zdravých jedál, pričom býva zvykom, že personál dokáže malými zmenami prispôsobiť jedlo aj špeciálnej diéte či alergikom. V lete budúceho roka sa viedenské letisko dočká aj najnovšieho Oliverovho konceptu – baru, ktorý ponúkne exkluzívne koktaily a chuťovky ako ideálny doplnok ku krátkemu relaxu na letisku. Všetky tri prevádzky na Termináli 3 budú ľahko dostupné, predovšetkým pre pasažierov odchádzajúcich z brán F a G. Momentálne slúži cestujúcim na Schwechate vyše 30 fast foodov, bistier, kaviarní, barov, pubov, cukrární či obchodíkov s vínom, ktoré sa orientujú na rakúsku aj medzinárodnú kuchyňu. Prevádzky Jamieho Olivera budú zaručene chutným obohatením tejto ponuky a my vás k nej s radosťou zavezieme. Schwechat nie je prvým letiskom, kde svetoznámy šéfkuchár otvoril svoje stravovacie zariadenie. Napríklad severný terminál londýnskeho letiska Gatwick sa môže pochváliť exkluzívnou kombináciou troch Jamieho konceptov pod jednou strechou. Prvá Oliverova reštaurácia v Nórsku sa nachádza na letisku Gardermoen v Osle a letisko v nemeckom Düsseldorfe sa po februárovej premiére Jamie´s Deli teší na letné otvorenie gastropodniku Jamie´s Coffee Van, ktorý bude tradične spolupracovať s lokálnymi dodávateľmi kvalitných surovín. Wollen Sie Jamie Oliver genießen? 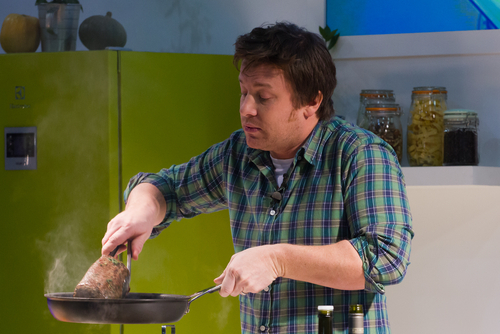 Jamie Oliver entschied sich 22 Lokale außerhalb seines heimatlichen Großbritanniens zu eröffnen. Drei davon werden unweit von Bratislava - am Wiener Flughafen betrieben. Das erste ist bereits geöffnet - direkt im Zentrum des Terminals 3. Sowie Sie in Schwechat aus unserer bequemen Limousine aussteigen, können Sie sich die leckeren Snacks und Pizzen direkt aus dem Ofen, gesunde Salate und eine große Auswahl von Sandwichen unter dem Namen „Jamie´s Deli“ schmecken lassen. Das Menü wurde von Jamie zusammengestellt. Dieses umfasst auch die Gerichte, die Sie ins Flugzeug mitnehmen können. Alle Leckerbissen bestehen aus frischen saisonalen Ingredienzien und stammen aus nachhaltigen Quellen. „Jamie´s Garküchen“ mit ungewöhnlichen Gerichten stehen ab fünf Uhr morgens bis zum zehn Uhr abends zur Verfügung. 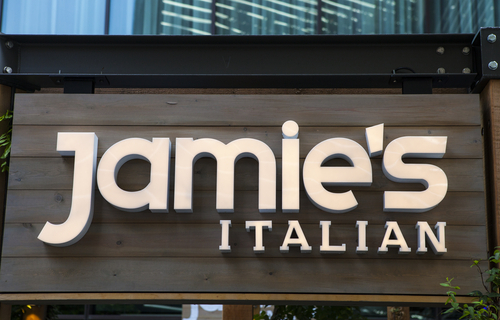 Außer „Jamie´s Deli“ wird vom gastronomischen TV-Show-Star auch das italienische Restaurant „Jamie´s Italian“ am Wiener Flughafen eröffnet. Schon Ende dieses Jahres können Sie das angenehme Fahrerlebnis in unserer Limousine mit gastronomischem Genuss aus der mediterranen Küche verbinden. Diese Küche bietet vegetarische, vegane, gluten freie und andere gesunde Speisen an. Das Personal kreiert diese nach speziellen Diätvorgaben. So auch für Allergiker. Im Sommer nächsten Jahres wird „Oliver´s Bar“ eröffnet, in welcher die appetitlichen und gesunden Coctail´s und Häppchen angeboten werden. Alle drei Betriebe werden im Terminal 3 zur Verfügung stehen, vor allem für die Passagiere, welche durch das Flughafentor F und G kommen. In Schwechat stehen mehr als 30 Fast Foods, Bistros, Cafe´s, Bars, Pubs, Konditoreien oder kleinere Keller zur Verfügung. Diese bieten Spezialitäten aus österreichischer und sowie auch internationaler Küche an. Die „Jamie Oliver Restaurants“ werden eine Bereicherung dieses Angebotes sein. Es wäre für uns ein Vergnügen, Sie zu diesen gastronomischen Einrichtungen zu fahren. Schwechat ist nicht der einzige Flughafen, in welchem der weltberühmte Chefkoch seine Verpflegungseinrichtungen eröffnet hat. Im Londoner Flughafen Gatwick werden schon mehrere Jahre drei verschiedene Konzepte von „Jamie´s Restaurants“ betrieben. Olivers erster Gastrobetrieb in Norwegen befindet sich am Flughafen Gardermoen in Oslo. In der deutschen Stadt Düsseldorf feierte das Restaurant „Jamie´s Deli“ im Februar Eröffnung und im Sommer können sich die Passagiere über einen neuen Erfrischungsstand - der „Food truck Jamie´s Coffee Van“ mit kleinen Snacks und leichten Gerichten freuen. Alle diese Betriebe arbeiten mit lokalen Lieferanten der Qualitätslebensmittel zusammen. Anfrage Wien Bratislava taxi jetzt. Do you feel like tasting something from Jamie Oliver? Out of twenty two restaurants Jamie Oliver decided to open recently outside his native Great Britain, three will be situated nearby Bratislava – at Vienna airport. 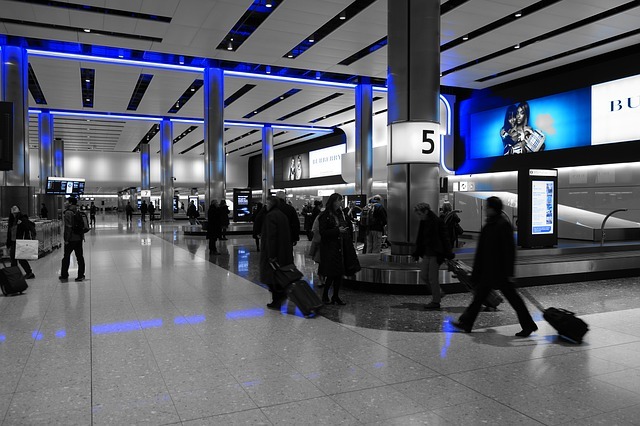 The first of them is already open – right in the centre of Terminal 3. Right after you step out from one of our comfortable limousines at Schwechat you can start to look forward to simple and delicious snacks, pizza right from the oven, healthy salads and wide selection of Jamie´s Deli sandwiches. The menu was set up personally by Jamie and you will find what you´ve been looking for also in case your time schedule allows you only to grab the meal in your hands and consume it on board. All the delicacies consist of fresh seasonal ingredients and sustainable sources. Jamie´s informal catering concept is at your disposal from 5.00 a.m. to 10.00 p.m.
Next to Jamie´s Deli the star of gastronomic TV shows is also going to open his Italian restaurant, Jamie´s Italian, at Vienna airport. At the end of this year you will thus get a chance to end up your pleasant travelling experience in one of our limousines tasting the great specialties inspired by Mediterranean cuisine. 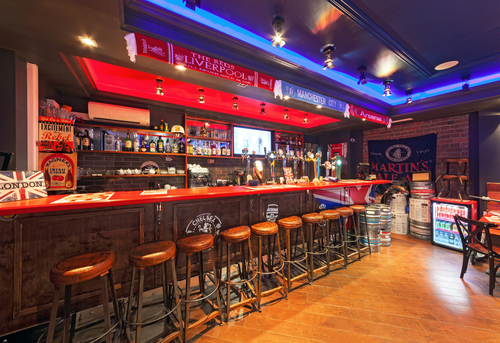 The carefully selected ingredients will also get the form of vegetarian, vegan, gluten-free and healthy meals, while it is a habit that the personnel is able to adjust the meal to special diet or allergic persons only with small modifications. During next summer Vienna airport will also see Oliver´s most up-to-date concept – a bar with the offer of exclusive cocktails and appetizers as an ideal accomplishment to a short relax at the airport. All of the three units will be easily accessible at Terminal 3, particularly for passengers with departure from gates F and G. Currently there are more than 300 fast foods, bistros, cafés, bars, pubs, confectionaries or wine shops that serve the passengers at Schwechat with focus on Austrian and also international cuisine. 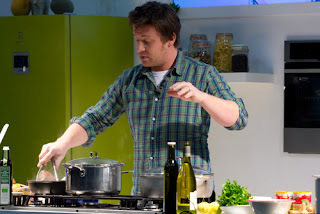 The restaurants of Jamie Oliver will definitely be a tasty enrichment of this offer and we will gladly take you there. Schwechat is not the first airport for the world-famous chef to open his catering unit. For example, the northern terminal of the London Gatwick airport can be proud of an exclusive combination of three concepts of Jamie under one roof. Oliver´s first restaurant in Norway is located at the Gardermoen airport in Oslo and the airport in Düsseldorf in Germany is, after the February premier of Jamie´s Deli, looking forward to summer opening of the Jamie´s Coffee Van gastronomic unit that will traditionally cooperate with local suppliers of quality raw materials. Request Bratislava Vienna transport now. Die internationalen Flughäfen in Wien, Budapest, Prag und Bratislava, wohin auch unsere Limousinen die Passagiere fahren, sind ausgelastet. Aber diese Flughäfen sind nicht unter den zehn der verkehrsreichsten in Europa. Hier finden Sie einiges Interessantes über die größten europäischen Flughäfen. Der bekannteste und größte Londoner Flughafen, mit einer Fläche von 12 Quadratkilometern, fertigt jährlich rund 75 Millionen Passagiere ab. In dieser Hinsicht hat er keine Konkurrenz in Europa. 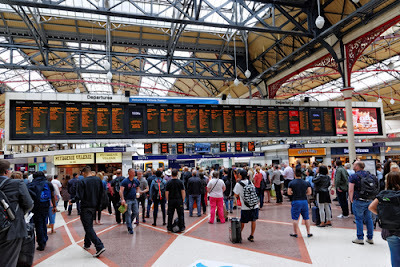 Eine von den Landebahnen und Terminals wurde von der Queen Elizabeth II. eröffnet. Im Bereich des Flughafens sind 76 Tausend Menschen beschäftigt, welches fast so viel beträgt, wie die Einwohnerzahl der slowakischen Stadt Nitra ist. Mit 6 500 Überwachungskameras wird Heathrow überwacht. Jedem Tag steigen hier 1 400 Flugzeuge auf. Am häufigsten werden Frühstücke serviert. Das bedeutet zum Beispiel: fünf Millionen Eier und nur etwa eine halbe Million weniger Specksscheiben. Jährlich kostet der Flughafenbetrieb 975 Millionen Pfund und weitere 660 Millionen werden zur Modernisierung eingesetzt. 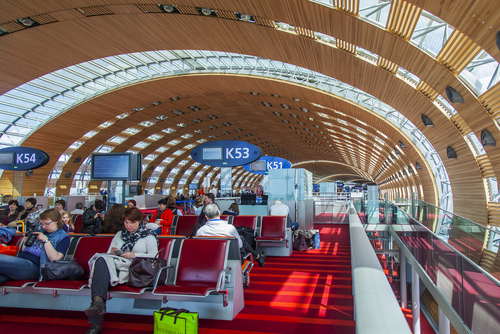 Der größte internationale Verkehrsflughafen in Paris ist der zweitgrößte Passagierflughafen in Europa, mit fast 66 Millionen Passagieren. Der Flughafen ist von Paris 23 Kilometer entfernt. Der Flughafen „Charles-de-Gaulle“ ist im Jahr 1974 in Betrieb genommen worden. Ihn kann man in mehreren Hollywood-Filmen sehen und das U2 „Beautiful Day“-Video wurde auch hier gedreht. Er zählt zu den größten Flughäfen und liegt im europäischen Teil der Metropole Istanbul. Dieser internationale Verkehrsflughafen ist der drittgrößte in Europa. Seinen Namen erhielt er zu Ehren des Mustafa Kemal Atatürk, den Gründer der Republik Türkei und zugleich der erste Staatspräsident.Istanbul. Er liegt am Nordufer des Marmarameeres auf beiden Seiten des Bosporus.Aufgrund der weltweit einzigartigen Transitlage Istanbuls zwischen zwei Kontinenten und zwei Meeresgebieten, dem Schwarzen - und dem Mittelmeer ist der Schiffsverkehr der bedeutendste Umschlagplatz. Der Airport Frankfurt ist der größte deutsche und der viertgrößte europäische Flughafen. In Frankfurt am Main wurde im Jahr 1909 die erste Fluggesellschaft der Welt gegründet. Ursprünglich war dieser Flughafen nur für Luftschiffe vorgesehen. Nur wenig später wurde der Flughafen als Start- und Landelinie für Flugzeuge genutzt. In den Jahren 2005 bis 2007 wurden zwei Terminals renoviert, um für die Lufthansa den Airbus A380 aufnehmen zu können. Der Airbus A380 war im Juni 2010 in Frankfurt „getauft“ und in Betrieb genommen. Die Passagiere aus dem „First Class Terminal“ werden zum Flugzeug mit einem luxuriösem Mercedes-Benz transportiert. Unser Fuhrpark besteht auch aus Mercedes-Benz Fahrzeugen, um unsere Klienten mit maximalem Komfort zu den Flughäfen zu transportieren. Schiphol liegt 10 km von der größten niederländischen Stadt Amsterdam und gehört zu den größten Flughäfen Europas. Er hat für seine Anlagen und die gebotenen Aktivitäten mehrere Auszeichnungen gewonnen. Hier befindet sich die Bibliothek, die als einzige in der Welt im Flughafen ist. Sie finden hier auch ein Meditationszentrum, Wellness, Relax, Flughafen-Spa´s. Der Flughafen beherbergt eine Außenstelle des Rijksmuseums Amsterdam.Im Rijksmuseum Schiphol kann man verweilen und Gemälde von niederländischen Meistern bewundern. Sie können sich auch das Innere eines echten Fokker-Flugzeugs ansehen. Er ist das wichtigste Luftfahrt-Drehkreuz Spaniens und der wichtigste europäische Knotenpunkt für Flüge nach Lateinamerika. Im Jahr 1920 wurde entschieden, dass zu den drei bereits vorhandenen Flugplätzen zentral in Madrid ein weiterer Flugplatz errichtet wird, dem für die Zukunft auch Erweiterungsflächen zur Verfügung stehen. Die Bauarbeiten begannen im Jahr 1928. Der Aeropuerto Barajas ging in April 1931 in Betrieb. Das renommierte Londoner Luftfahrtinstitut Skytrax verleiht jedes Jahr den besten Flughafen mit dem Titel „World Airport Awards". München gewann den dritten Platz in der Welt und den Titel des besten Flughafens Europas schon mehrfach. Die Besucher können eine Flughafenwelt im Besucherpark entdecken. Von dem Besucherhügel aus können sie in einer Höhe von 28 Metern einen einmaligen Blick auf die Start- und Landebahnen werfen. Im Besucherpark kann man auch legendäre historische Verkehrsflugzeuge sehen. Die Radfahrer erfreut ein durchgängiger Fuß- und Radweg, der von Freising über den Besucherpark zum Terminal führt. Italienisch Aeroporto di Roma-Fiumicino “Leonardo da Vinci” ist der größte Flughafen der italienischen Hauptstadt Rom, zugleich auch der größte Flughafen Italiens und der achtgrößte in Europa. Er befindet sich an der Mittelmeerküste im Stadtgebiet von Fiumicino. Der reguläre kommerzielle Flugbetrieb begann im Januar 1961, obwohl der Flughafen für die Olympischen Sommerspiele 1960 fertig werden sollte. Dieser liegt in einer Höhe von 5 Metern über dem Meeresspiegel. Der Gatwick Airport ist der zweitgrößte Londoner Flughafen, nach Heathrow. Er ist auch der zweitgrößte Flughafen des Vereinigten Königreiches und neuntgrößter Flughafen Europas. Er wurde am 9. Juni 1958 von der Königin Elisabeth II. eröffnet, obwohl seine Geschichte bis in die 20er Jahre des vorigen Jahrhunderts reicht. Die ersten kommerziellen Flüge verwirklichten sich im Jahr 1933. Im Jahr 1936 wurde das erste Abfertigungsgebäude des Flughafens eröffnet. Der Bienenstock (The Beehive) war das erste voll integrierte Abfertigungsgebäude der Welt. Der Flughafen Barcelona-El Prat ist der zweitgrößte Flughafen Spaniens und der zehntgrößte in Europa. Der größtenteils auf dem Gebiet der katalanischen Gemeinde El Prat de Llobregat liegt. Seine Geschichte reicht bis ins Jahr 1916 zurück, als das erste Flugfeld in El Remolar entstand. Es hatte aber keine Möglichkeiten zur Erweiterung. Deswegen wurde bereits zwei Jahre später, unweit davon entfernt, auf dem Gebiet der Gemeinde El Prat de Llobregat der heutige Standort eröffnet. Der Flughafen liegt etwa 15 km südwestlich der Innenstadt von Barcelona. 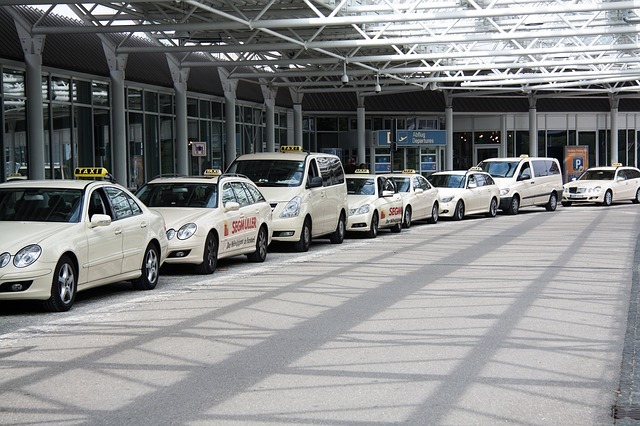 Although the international airports in Vienna, Budapest, Prague and Bratislava where also our limousines take our passengers are rather saturated, they still remain outside the top ten busiest European airports. Except the millions of processed travellers each of them can pride itself on curiosities about which you may even yet have not heard. The most famous and the largest London airport with the size of 12 square kilometres and with an annual passenger number around 75 million has no competitors of its kind in Europe. At the same time it is the only airport with one of the runways and terminal to be opened by Britain´s Queen Elizabeth II. 76,000 people work on the territory of the airport what is nearly equal to the number of citizens of the Slovak town of Nitra. Heathrow is monitored by 6,500 security cameras and 1,400 aircrafts take off from its runways every day. Breakfast is served here the most frequently, what means in figures approx. 5 million eggs and only by a half a million slices of ham less. The operation costs of the airport are 975,000,000 £ annually, other 660,000,000 £ are dedicated to modernization. The largest airport in Paris is looking at its conqueror from a distance from the second rank. Approximately 66,000,000 passengers are processed here annually. The colossus that is located 23 kilometres from Paris has already written a carrier in pictures. 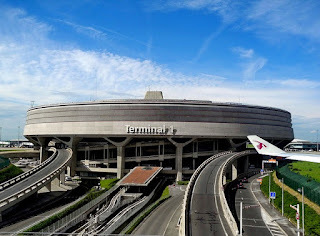 After its debut in 1974, the Charles de Gaulle airport appeared also in a few Hollywood productions and its exteriors are displayed also in the video of the Irish rock band U2 - Beautiful Day. The main international airport in the Turkish Istanbul is the third among the busiest airports in Europe. It is located on Istanbul´s European side and it was named after Mustafa Kemal Atatürk, the founder and first president of the Republic of Turkey, who, except others, has arranged that Ankara became the capital city of Turkey instead of Istanbul, that the country became a republic, that the Turkish men wore European hats and that the women followed western fashion trends and were given voting rights. Similarly to the international airport in Istanbul, the largest German airport Frankfurt am Main processes approximately 62,000,000 passengers annually. In the thirties of the last century it was a proud airships port, but after their inglorious end and after World War II an airport began to emerge here that belonged to the United States of America together with a military base. After its closing in 2005 the airport has undergone reconstruction in an extent that in 2010 it was able to welcome also the giant Airbus A380 that was part of the Lufthansa aircraft fleet. Lufthansa operates the First Class Terminal at the airport the clients of which are taken to the aircrafts by a luxury Mercedes-Benz strikingly reminiscent to our limousines. 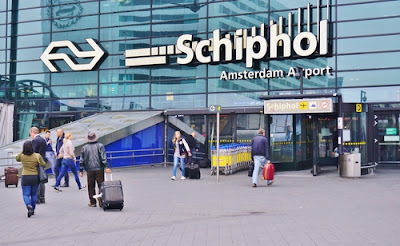 With nearly 60,000,000 processed passengers annually the international airport in Amsterdam is the fifth busiest airport in Europe. At the same time it is considered by the satisfied passengers to be the best airport and another 200 awards prove its qualities. Except others, Schiphol offers a meditation centre, spa or casino and even a number of attractive places for a wedding ceremony. You can say your most important "yes" in a hangar, on top of the building Skyport with a view on a busy runway or on the board of the Dakota aircraft from the thirties of the last century. The Spanish Aeropuerto de Madrid-Barajas handles 47,000,000 passengers annually and it plays a key role when it comes to flights from Latin Amerika to Europe. The beginnings of the airport date back to 1931 literally on a green field – the grass surface of the runways changed only in the forties of the last century. Gone are the days when the Franz Josef Strauß international airport in Munich did not meet the needs of transport regarding its size. In 2015 it processed nearly 41,000,000 passengers and it collected a number of prestigious awards not only from the passengers but also from professionals. It got a coveted award of a “5-Star Airport“ from the respected London-based aviation research institute Skytrax what is considered to be a kind of Oscar in the field of air transport. Also Italy has its representative in the ranking of the busiest European airports. It is located close to Rome in the town of Fiumicino. Officially it started its operation in 1961 and thanks to more than 40,000,000 processed passengers annually it deserves the eighth rank among the top ten busiest European airports. The altitude of 5 metres of this airport is definitely worth noting. London has another representative in this ranking. London Gatwick Airport is located 40 kilometres from the British metropole and despite its emerge in the twenties of the last century it recorded the first commercial flight only on 17 May, 1936. At that time you could fly to Paris for 4 pounds and 5 shillings, what corresponds to approx. 160 pounds today. The oldest written record about the name Gatwick dates back to 1241 in the form Gatwik. It was the connection of two old English words gat (goat) and wik (farm). The goat farm handles more than 40,000,000 passengers annually. Spain also made it to push two representatives among the top ten busiest European airports. The other one is the Barcelona El Prat international airport with nearly 40,000,000 passengers handled annually. The origin of its name has to be searched for in the nearby town of El Prat de Llobregat. And it also makes sense to know all the names used so that you do not succumb the impression that Barcelona has more international airports. You can meet with the following names: Aeroport de Barcelona-El Prat, Aeroport de Barcelona, Aeropuerto de Barcelona or simply Aeroport. However, it is always the same place. Medzinárodné letiská vo Viedni, Budapešti, Prahe a Bratislave, kam vozia pasažierov aj naše limuzíny, sú síce vyťažené, ale stále zostávajú mimo prvej desiatky najrušnejších európskych letísk. Okrem miliónov vybavených cestujúcich sa každé z nich môže pochváliť zaujímavosťami, o ktorých ste možno netušili. Najslávnejšie a najväčšie londýnske letisko s rozlohou 12 kilometrov štvorcových vybaví ročne okolo 75 miliónov pasažierov a v tomto smere nemá v Európe konkurenciu. Je to zároveň jediné letisko, kde jednu z pristávacích dráh a odbavovacích hál otvorila anglická kráľovná Alžbeta II. Na území letiska pracuje 76-tisíc ľudí, čo sa takmer rovná počtu obyvateľov slovenskej Nitry. Heathrow monitoruje 6 500 bezpečnostných kamier a každý deň z jeho plochy vzlietne 1400 lietadiel. Najčastejšie sa tu servírujú raňajky, čo v číslach znamená napríklad 5 miliónov vajec a len o pol milióna menej plátkov slaniny. Prevádzka letiska stojí ročne 975 miliónov libier a ďalších 660 miliónov je určených na modernizáciu. Najväčšie letisko v Paríži sa z druhého miesta rebríčka díva na svojho premožiteľa z diaľky. Ročne ním prejde okolo 66 miliónov cestujúcich. Kolos vzdialený od Paríža 23 kilometrov má za sebou už aj filmovú kariéru. Po debute v roku 1974 sa letisko Charlesa de Gaulla objavilo aj v niekoľkých hollywoodskych produkciách a svoje exteriéry vystavuje na obdiv aj vo videu skupiny U2 Beautiful Day. V poradí tretie medzi najrušnejšími európskymi letiskami je hlavné medzinárodné letisko v tureckom Istanbule. Nachádza sa na jeho európskej strane a svoje pomenovanie získalo po prvom tureckom prezidentovi Mustafovi Kemalovi Atatürkovi, ktorý sa okrem iného postaral aj o to, aby sa hlavným mestom Turecka namiesto Istanbulu stala Ankara, aby sa z krajiny stala republika, aby tureckí muži nosili európske klobúky a ženy aby prihliadali na západné módne trendy a mali volebné právo. Podobne ako medzinárodné letisko v Istanbule, aj najväčšie nemecké letisko Frankfurt nad Mohanom vybaví ročne takmer 62 miliónov cestujúcich. V tridsiatych rokoch minulého storočia bolo hrdým prístavom vzducholodí, no po ich neslávnom konci a po druhej svetovej vojne tu začalo vznikať letisko, ktoré patrilo Spojeným štátom spolu s vojenskou základňou. Po jej zatvorení v roku 2005 prešlo letisko rekonštrukciou v takom rozsahu, aby v roku 2010 mohlo privítať aj obrí Airbus A380, ktorý do svojej flotily zaradila spoločnosť Lufthansa. Tá prevádzkuje na letisku First Class Terminal, ktorého klientov vozí k lietadlám luxusný Mercedes-Benz nápadne pripomínajúci naše limuzíny. S takmer 60 miliónmi odbavených pasažierov ročne je medzinárodné letisko v Amsterdame piatym najrušnejším v Európe. Spokojní cestujúci ho zároveň považujú za najlepšie a o jeho kvalitách svedčí aj ďalších 200 ocenení. Schiphol okrem iného ponúka meditačné centrum, spa či kasíno a dokonca aj niekoľko atraktívnych miest pre svadobný obrad. Svoje najvýznamnejšie "áno" môžete vysloviť v hangári, na vrchu budovy Skyport s výhľadom na rušnú pristávaciu plochu alebo na palube lietadla Dakota z tridsiatych rokov minulého storočia. Španielske Aeropuerto de Madrid-Barajas sa ročne postará o 47 miliónov cestujúcich a pri letoch z Latinskej Ameriky do Európy zohráva kľúčovú úlohu. Letisko začínalo v roku 1931 doslova na zelenej lúke - trávnatý povrch vzletových a pristávacích dráh sa zmenil až v štyridsiatych rokoch minulého storočia. Časy, keď mníchovské medzinárodné letisko Franza Josefa Straußa nezodpovedalo veľkosťou potrebám dopravy, sú dávno preč. V roku 2015 vybavilo takmer 41 miliónov pasažierov a pozbieralo niekoľko prestížnych ocenení nielen medzi cestujúcimi, ale aj medzi odborníkmi. Od rešpektovaného londýnskeho inštitútu leteckého výskumu Skytrax získalo status päťhviezdičkového letiska, čo sa považuje za akéhosi Oscara vo svete leteckej dopravy. Aj Taliansko má svojho zástupcu v rebríčku najrušnejších európskych letísk. Nachádza sa neďaleko Ríma v meste Fiumicino. Oficiálne funguje od roku 1961 a vďaka viac ako 40 miliónom odbavených cestujúcich ročne mu patrí ôsma priečka v najvyťaženejšej európskej desiatke. Za povšimnutie určite stojí nadmorská výška tohto letiska, ktorá dosahuje len 5 metrov. Londýn má v tomto rebríčku aj druhého reprezentanta. London Gatwick Airport je od britskej metropoly vzdialený 40 kilometrov a hoci vznikol už v dvadsiatych rokoch minulého storočia, prvý komerčný let zaznamenal až 17. mája 1936. 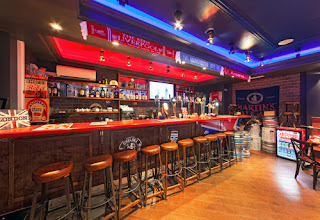 Do Paríža ste vtedy mohli letieť za 4 libry a 5 šilingov, čo je dnešných asi 160 libier. Najstarší písomný záznam o pomenovaní Gatwick pochádza z roku 1241 v podobe Gatwik. Išlo o spojenie dvoch staroanglických slov gat (goat - koza) a wik (farm - farma). Kozia farma obslúži ročne viac ako 40 miliónov ľudí. Aj Španielsku sa do prvej desiatky najrušnejších európskych letísk podarilo pretlačiť dvoch zástupcov. Tým druhým je medzinárodné letisko Barcelona El Prat s takmer 40 miliónmi cestujúcich ročne. Pôvod jeho názvu treba hľadať v neďalekom mestečku El Prat de Llobregat. A tiež má zmysel poznať všetky používané označenia, aby ste nepodľahli dojmu, že Barcelona má viacero medzinárodných letísk. Stretnúť sa môžete s týmito názvami: Aeroport de Barcelona-El Prat, Aeroport de Barcelona, Aeropuerto de Barcelona alebo jednoducho Aeroport. Vždy ide o jedno a to isté miesto.